Launcher settings>customise app drawer>app drawer opacity=100%>app drawer color= white it should resolve the frame drops and lags on the launcher and app drawer. Yes i have tried that.. But nothing is helping...i can only add one fingerprint which is working find... But can't add 2nd. PiP maps looks so cool!! PiP for youtube is only available on youtube red which needs subscription. 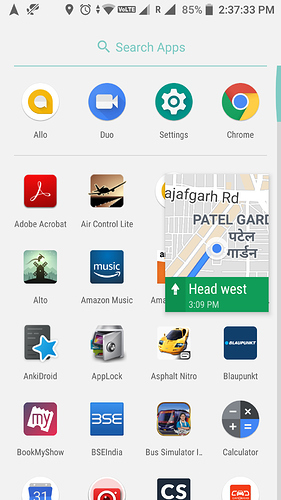 For maps it's enabled once you start navigation for a particular place and press the home button. For other apps still trying to figure out. But this is the best feature. Please check whether your number is eligible for airtel VOLTE program or not. And the outcome is not a pleasant one. Where is default Google launcher after the update. that TronX is damn disgusting. Feel like throwing away this crappy phone. What will anyone do with TronX in place of Google default. 1.where is RAM usage status? 2.double tap on screen to lock and unlock? 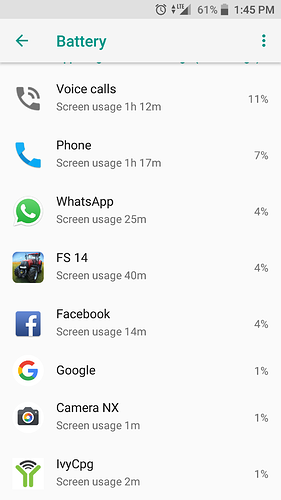 4.previous version had an option to delete cache memory,in OREO where it is? 5.Google widget was not changed,why? How to customize Google widget? ->We don't have "double tap on screen to lock and unlock" gesture. However, we have double tap on fingerprint to lock gesture. go to settings -> search at top "gestures"
4previous version had an option to delete cache memory,in OREO where it is? -> settings -> Storage -> other apps -> "tap on particular app to clear cache"
-> please provide more info. We will look into this. PiP (Picture in Picture) mode :) All you need to know! Solved, tcloud working after reset and reboots. But still need to develop the tcloud app. It is sluggish while uploading or downloading & to create new folders.